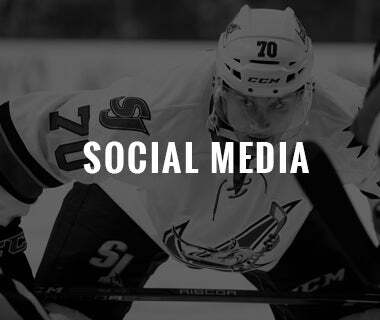 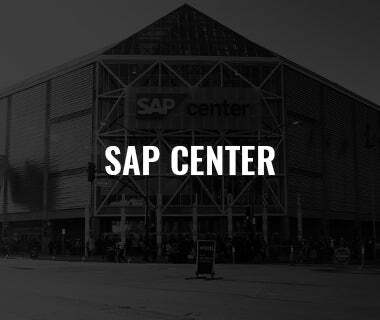 SAN JOSE, CA - The San Jose Barracuda (1-2) returned to SAP Center on Saturday to take on the San Antonio Rampage (2-1) for a second straight day of play. 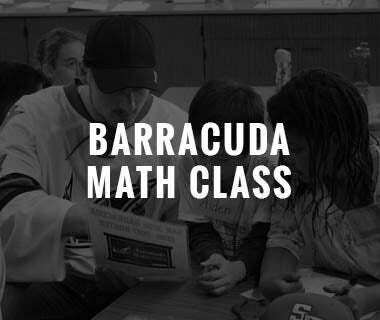 Hoping to correct the issues that led to a 7-3 loss to Grand Rapids the night before, the Barracuda played far more inspired hockey, but ultimately gave up the game-winning goal with less than two minutes to play and fell 3-2. 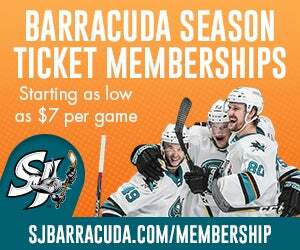 In the first period, Barracuda forward Alex True (1) gave San Jose a 1-0 at the 15:16 mark, scoring his first professional goal with help from a beautiful cross-ice feed from Adam Helewka. 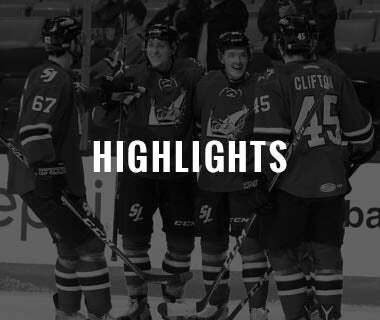 Neither team would find the back of the net again until San Antonio's Rocco Grimaldi (1) tied the game with just 5.8 seconds remaining in the period, taking advantage of a two-on-one opportunity and a last-second assist from Andrew Agozzino. 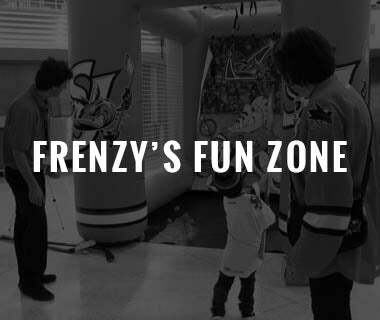 Both teams played sound defense through much of the second period, denying all scoring attempts through the first 18 minutes. 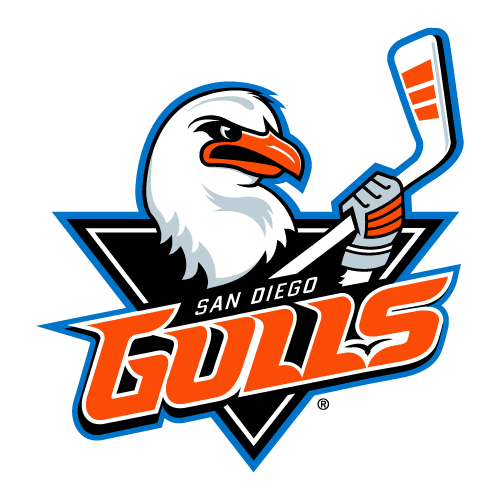 San Jose managed to regain the lead with 1:48 remaining in the second frame though, when Filip Sandberg(1) tipped in a slap shot attempted by Julius Bergman, giving San Jose the 2-1 advantage on the power play. 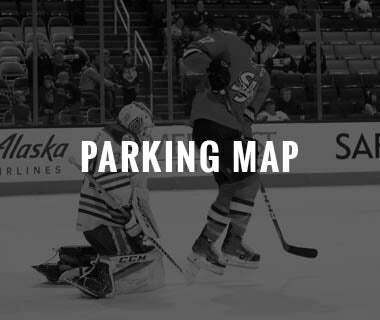 The back-and-forth play continued in the third period, starting with a redirect goal through the five-hole by San Antonio's Joe Colborne (1) on the man advantage, which tied the game at 2-2. 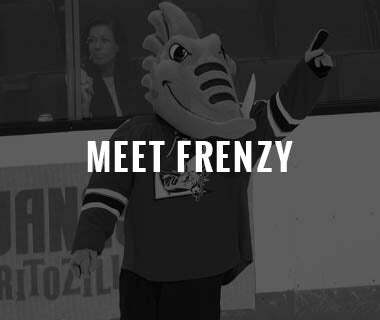 The Barracuda kept the game tied for a while despite allowing multiple power play opportunities for San Antonio, but Aggozino (2) gave his team their first lead and a second power on its second power play goal of the period. 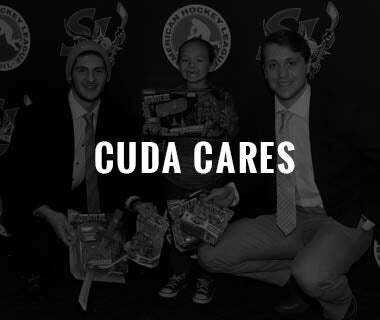 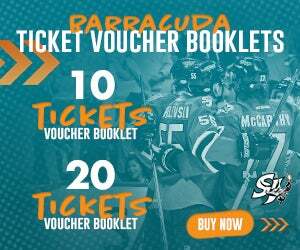 That goal would be the dagger for the Barracuda, ensuring their second consecutive loss in as many days. 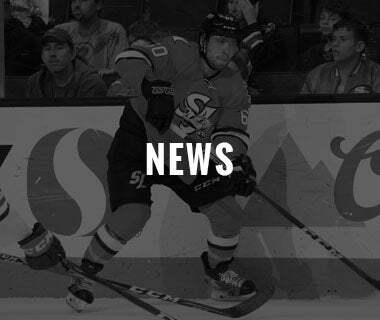 San Antonio's Spencer Martin earned the win by making 16 saves on 18 shots, while Barracuda netminder Antoine Bibeau took the tough loss making 35 saves on 38 attempts. 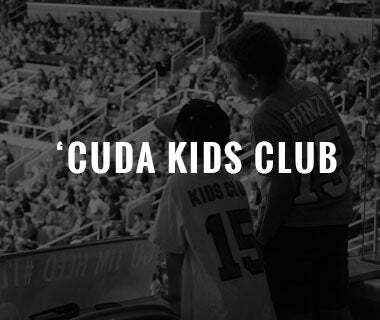 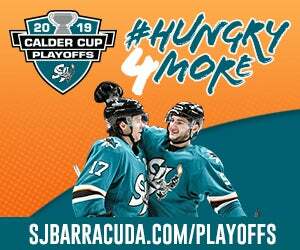 The Barracuda will be back at SAP Center Wednesday Oct. 18 as they take on the Stockton Heat at 7:00 p.m. Tickets start at just $10 and can be purchased at SJBarracuda.com/tickets.